The daunting task of data discovery, classification, clean-up and migration can pose an obstacle to agencies seeking to upgrade to the cloud. The good news is that even though this is no small feat, it can be a surprisingly smooth and efficient process with the right preparation and support. 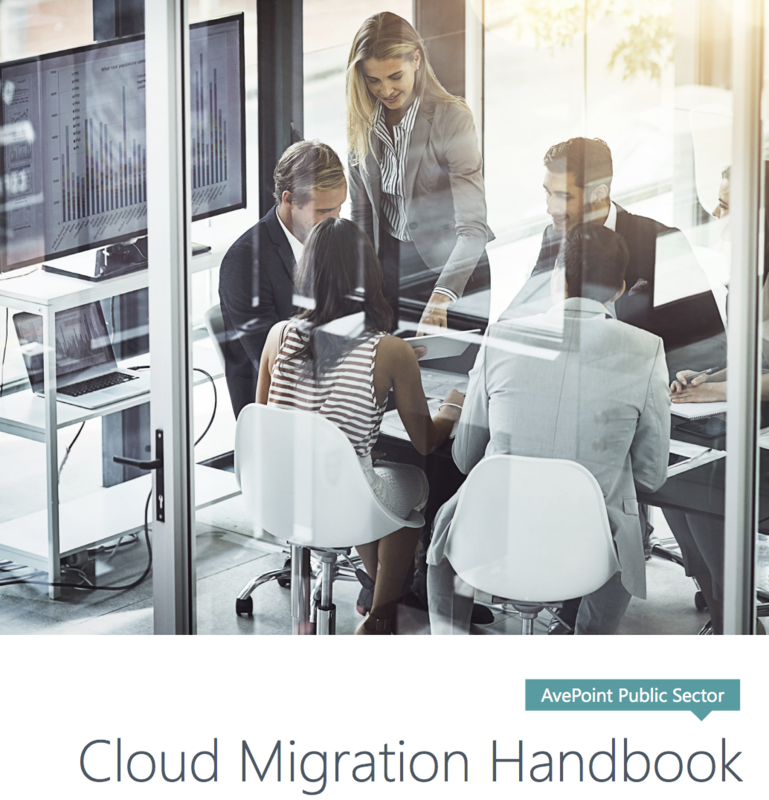 AvePoint’s Public Sector Cloud Migration Guide takes you through what you need to know for your Microsoft cloud migration step by step, from identifying business requirements, to the RFP, to the migration itself, and beyond.